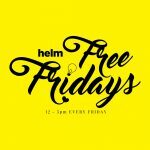 HELM - Shared Office & Coworking | Work outside -­ it’s good for you! Work outside -­ it’s good for you! If you’re anything like us, you probably spend most of your time stuck behind a screen indoors. It can’t be helped – it’s how we go about getting things done! But left unchecked, sitting at a screen all day isn’t going to do you any favours. Being in a space like Helm makes us want to get outside as much as we can. 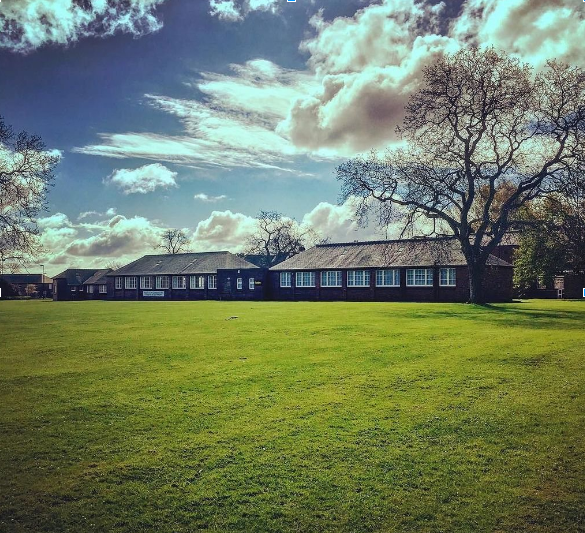 We’re spoilt by the beauty of Woodfield Park, the peace and quiet, and the fresh air. We don’t really need an excuse to get outside but if you do here’s a few. Nature is good for us. Just being outside can lower blood pressure, boost immunity and reduce stress. Throw in a bit of vitamin D from the sun and you’re laughing! If you don’t get outside enough you might experience something called “nature deficit disorder” – feeling anxious or depressed from being inside WAY too much. Luckily, if you’re feeling like this, the answer is to just get outside more often. Working outdoors will also inspire you to get exercising! Fancy a break? Take a quick walk around the park. 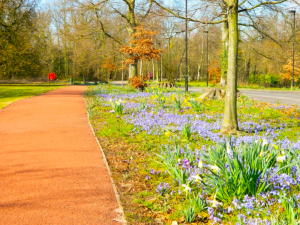 Researchers in Finland found that people in urban areas who spent just 20 minutes strolling around a city park reported significantly more stress relief, than those who walked round the city centre. Nature has the effect of increasing your attention span, which boosts creativity and makes you a better problem solver – all good things for an entrepreneur. Image credit: Woodfield Park where the Helm office is based. There’s even evidence that just looking out of a window at natural surroundings is calming and soothing. Researchers believe that the beauty of nature makes us feel part of something bigger than ourselves, making us more likely to help others. The surroundings don’t come more beautiful than here at Woodfield Park, so you can see why we’re such a helpful lot! Recent statistics show that in the last 5 years we’ve visited more outdoor places than EVER before. There’s clearly something in that, we’re desperate to reconnect with nature and enjoy the sense of wellbeing that comes with this.